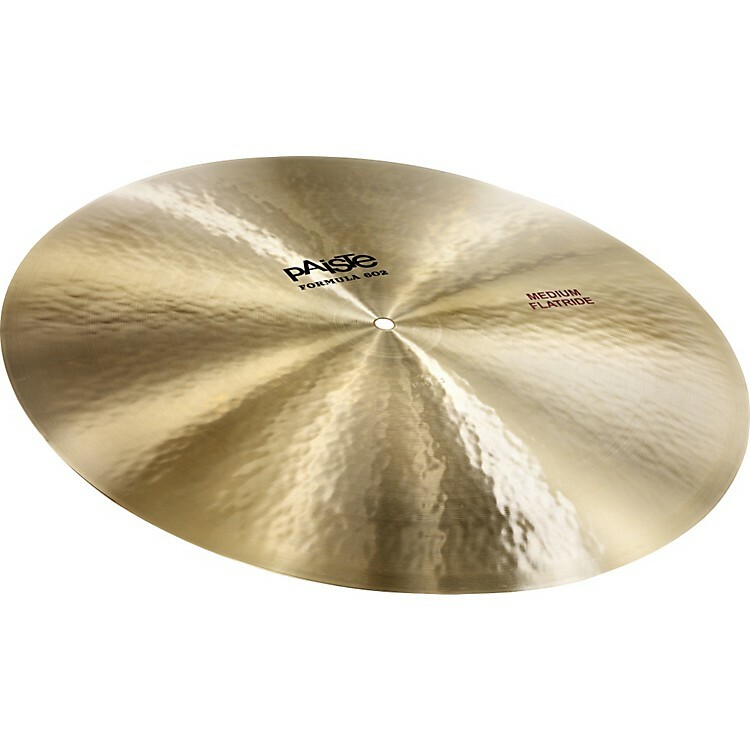 The Paiste Formula 602 Series Flat Ride responds with a very balanced and controlled feel. The absence of a bell creates pearly, woody stick sound over a silvery wash. This very sensitive cymbal perfectly suits jazz or other styles that require soft playing at lower volume levels, and is perfect for studio applications. The return of a much-coveted jazz cymbal.